Let’s start off with a list. I want to use a REST call to access the list (I am aware there is an actual action for this, but I want to show how easy parsing the data is). 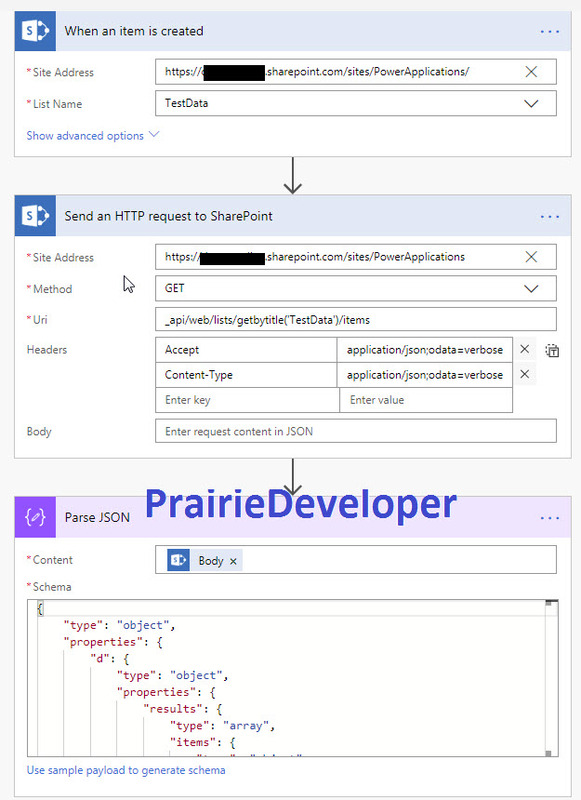 Next I want to build a quick flow that gets the data via the following REST call: https://<SiteURL>/sites/PowerApplications/_api/web/lists/getbytitle(‘TestData’)/items(1). This call simply returns the item with a list ID of 1. 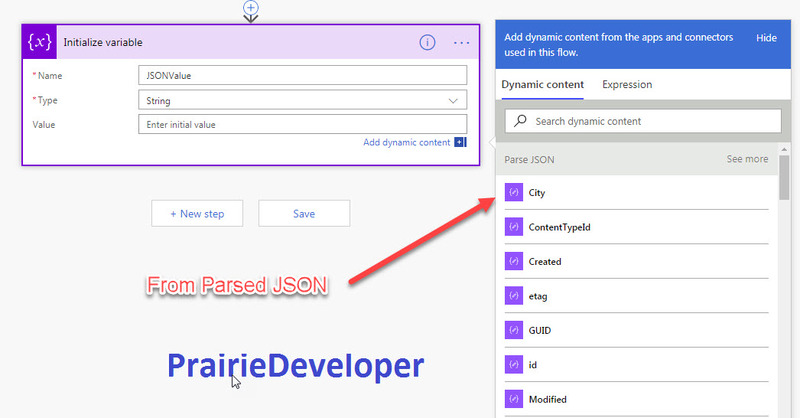 Now I need to add a new action called Parse JSON. There are two items within the action. Schema – Translates the JSON into properties that can be used within the flow. 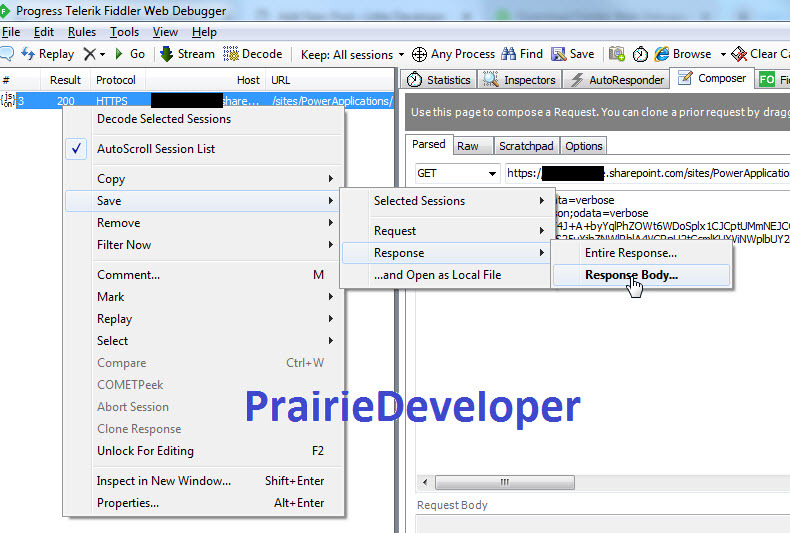 We set the content to the HTTP Call and the schema? Well that’s why we are here. Next we need to determine what the schema is going to look like. To do this, open up Fiddler and run the REST call you wish to run in your flow. On the left hand side of the window are the responses captured by fiddler. You are looking for the 200 that occurred immediately after you executed your REST call. Double click on it to open the response in your window. Save the response to a file and then open the file in the editor of your choice. Copy the contents of the file and go back to your flow. 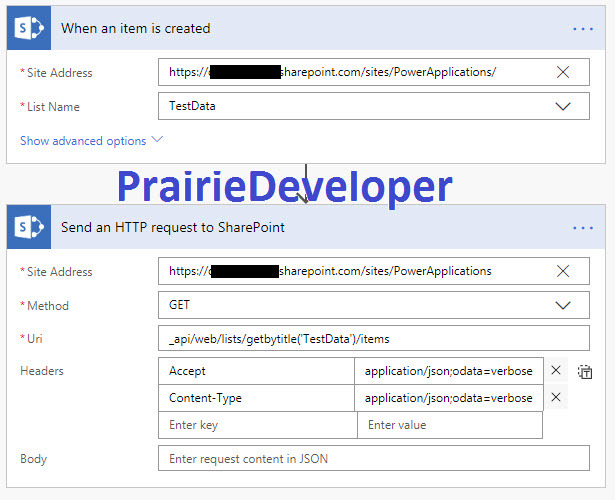 Next we are going to initiate the schema builder that Flow has built in. 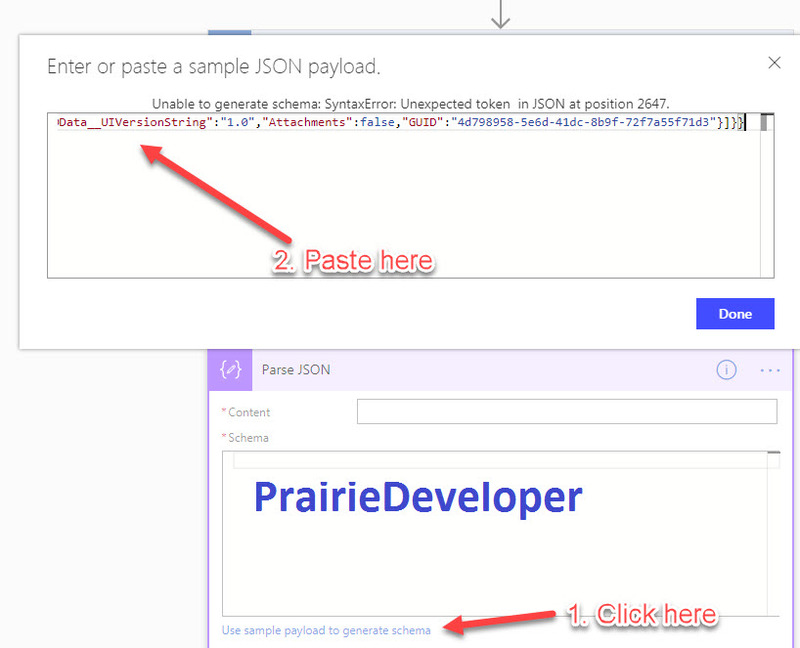 To do this click on the link in the Parse JSON action labeled: “Use sample payload to generate schema“. This opens a new window that you will paste the copied JSON response into. Special note: the builder is expecting a single line and your editor may break that up into multiple lines so be prepared to fix it. Great tip! Thanks! We were running into this over the weekend as we could not tell what was the incoming JSON request. I used fiddler many times in the past. It is a must have tool for web developers.